A couple of weeks ago, some friends and I decided to make a cheap getaway from the city. For two hours we drove north, unexpectedly having our breath (and words) taken away. We chugged and plummeted up and down the hills of the Niagara Escarpment Biosphere Reserve, a picturesque, UNESCO-protected part of Ontario that I had never seen. For the first time, in a long time, I got to appreciate the rugged handsomeness of authentic lumberjack country. Despite being jobless for my time spent in Argentina, I never made it to Jujuy. As one of the largest countries in Latin America, I had chosen the Patagonian region as my cheap escape from Buenos Aires. The people I met while traveling usually mentioned Mendoza, Salta or the Iguazú Falls that border Uruguay and Brazil, but I rarely encountered anyone who ventured to the northwestern provinces. Now, the word is getting out: Argentina could not keep Jujuy concealed. 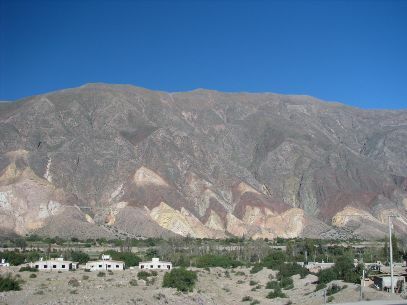 According to a recent article in The NY Times, stepping into Jujuy is not like the Euro-Argentina that we imagine. Instead, “pagan rituals overshadow Catholic beliefs, medicine men are sometimes preferred to doctors, and everyone, regardless of ancestry, embraces an indigenous heritage that dates back to the 10th century.” I wondered how it was able to maintain, as Argentine writer, Tizón, referred to as, an authentic “autochthonous”? With a terrain described as dramatic — “more than 20,000 square miles of salt deserts, untamed jungles and an endless maze of multicolored rocky mountains rising up to 16,000 feet, threaded by a scenic ravine called Quebrada de Humahuaca — a onetime Inca trade route leading north to Bolivia, now a Unesco World Heritage site” — perhaps portenos could not find a way inside its depths. Or, as the article points out, it was the 2001 Financial Crisis that finally pushed portenos to become frugal travelers, forcing them inwards. I think one thing worldly travelers tend to forget is to discover — or rediscover — what we have to offer. In the pursuit of adventure and accumulating trinkets and experiences, we sometimes fail to glance back, to see inwards, to look within ourselves and what we have to give.